MASABI: LolaLand - a children's television show highlighting new authors and illustrators, Proceeds help provide low cost therapy to women, children, and families. Author Martin Camp says it is "impossible to count the times this request of telling a story to my children has evolved into opening the crystalline doors of imagination as we wander on fantastic journeys. We find ourselves exploring the dreams and questions I have always had circling in my mind just below the level of all those things one thinks about to function as a productive adult in today's world. Fantasy and science fiction provide a wondrous freedom to explore worlds where things don't have to be as they are on terra firm, where everything we take for granted can change like the views in a slowly-turning kaleidoscope. I love to play with my children in the new worlds we visit." 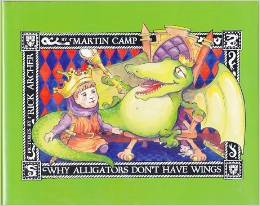 This delightful tale takes us into the world of alligators and princes and dragons...Oh, my! Grab a cup of tea and enjoy this one! My Grandma Has Alzheimer's is a poignant view of a sweet grandma who has the debilitating disease called Alzheimer's as experienced and told by her grandchild. The book employs a sense of gentle humor and facts from the life's journey of one such grandma - Betty Rae. The hope of the author is that others will be better prepared to endure and deal with this "long goodbye" to their loved one by reading and interacting with the book. The pictures are by an amazing artist in England. 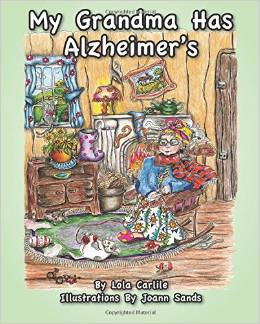 Joann Sands graciously consented to be a part of this project when first approached and the tone and design of her art compliments the issue of Alzheimer's - busy, detailed, and sometimes quite confusing. The purchase of this book will allow a continuation of the program entitled MASABI, which allows art therapists to provide free and low-cost art therapy counseling to individuals and groups in the Northwest USA. Welcome to our show! We are so glad you found us! We are not only on community cable television in the valley here in Oregon, but we are also on YouTube! Just search for "Stories from LolaLand." 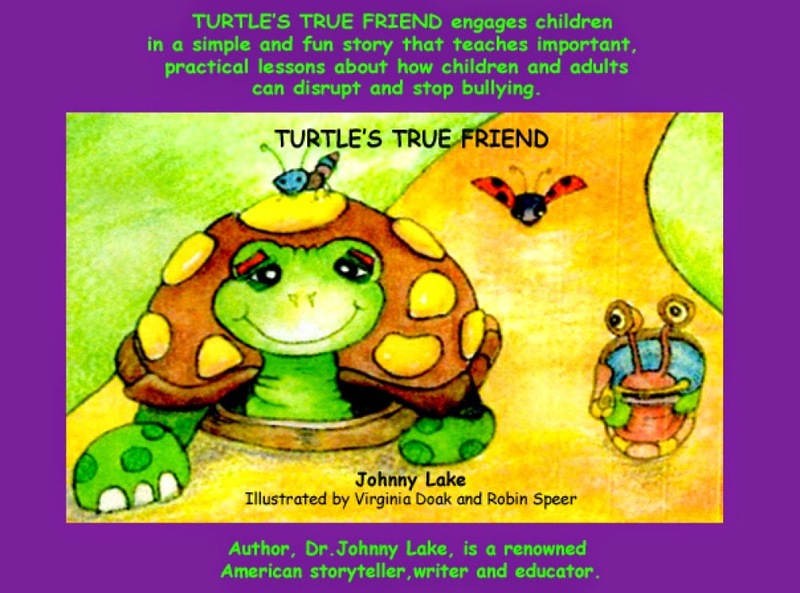 Our first show featured an amazing story....by our own Oregonian professor guy named Johnny Lake!